Air mile credit cards allow the cardholder to earn miles when they shop, and to later redeem them for free flights. You still need to pay for taxes, fees, and carrier charges, but the base charge is covered. The value you get out of these cards depends on which one you use and how you fly. Some cards do better than others. Long and costly flights get better value than short, economy class trips. Let’s take a look at best UK airmiles credit cards to see what’s best for you. The Virgin Atlantic Reward+ Credit Card offers a good number of benefits compared to other airmiles cards. With £10,000 of spending, you’ll earn back the £160 annual fee and a reward. This is redeemable against a premium upgrade, 2-4-1 Companion Voucher or an airport lounge access, depending whether you’re a Red, Silver or Gold member. Expect rewards rates of around 3% on Virgin Flights and Holidays and around 1.5% on other general spending. 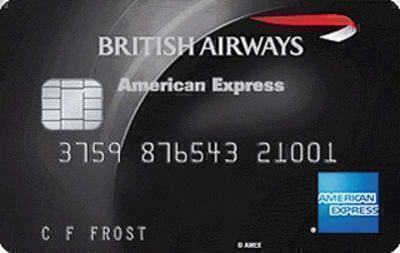 The BA Amex is certainly one of the best UK airmiles credit cards. It has a lower annual fee of just £195 and spending £3,000 in the first three months is enough to earn a welcome bonus, which will get you halfway to New York. You also earn 3 Avios per £1 spent on BA flights and holidays and 1.5 Avios per £1 spent in other shopping. Spend more than £10,000 a year to earn your Companion Voucher. Companion Vouchers are good for two years compared to the one-year industry standard. If your looking for air mile credit cards that let you into the best lounges around the world, this is the card for you. 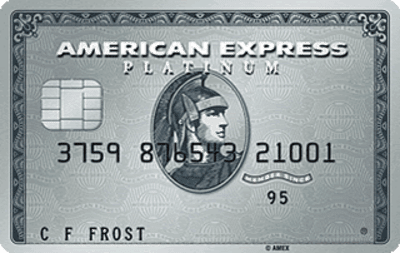 The Platinum Card by American Express is aimed at frequent travellers who don’t like to rough it. Get access to 900 Priority Pass airport lounges, Platinum Concierge service, worldwide travel insurance and free upgrades at Amex’s Fine Hotels & Resorts. For those looking for a second airmiles card, this is one of the best UK airmiles credit cards for that. 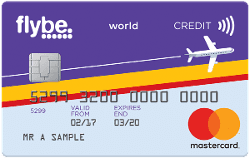 The Flybe Credit Card is a free air miles card for miles within Europe and it offers a discount at AVIS. Rewards rates can be anywhere from 0.5% up to 10% or more but bonus return flights aren’t always available on all flights. However, when you spend just £250 in the first six months you can earn a bonus return flight. If you’re not a big spender there’s still a good choice of airmiles cards for you. The no-fee Virgin Reward Credit Card offers decent rewards to those who spend less than £10,000 per year. Cardholders can earn a 5,000 Flying Club mile with the first purchase in 90 days. Then it reverts to 1.5 miles per £1 spent on Virgin, and 0.75 miles per £1 spent otherwise. The reward is good for 24 months, giving you time to use it before it expires. But before you travel to another country, always consider the fees charged by the credit cards. Some credit card fees generally add 3% to the cost of non-sterling purchases. This means your miles end up costing more than you realize.